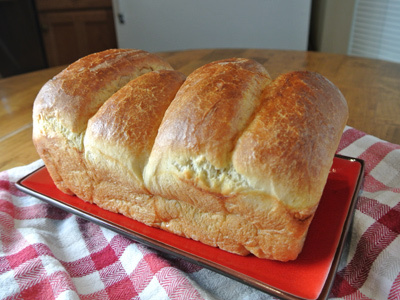 I’ve found several recipes that include brioche bread so I decided to try out the artisan style brioche dough from “Artisan Bread in Five Minutes a Day”. It is really easy to make and once you have the dough you can make it into anything you want. I made the sweet dough but there is also a savory variation. I had in mind french toast and bread pudding so I made loaves that I can slice or cut into pieces to fit my recipes but you can also make cinnamon rolls or individual rolls; really anything is possible. We toasted a couple slices and slathered some pumpkin butter on top. Umm, really good!